Translation: We don’t care at all what you want as a parent, or a person in labor. We want a patient who will sit quiet and do what we say–no matter what. Oh and if you have a partner you want involved, tough. Your desires don’t matter. Oh, and we don’t even care enough about doula’s to bother spelling the word correctly. They should change the name of the center to the “Unborn Children Center” since they don’t seem to care too much about the women involved. I hope this keeps plenty of women away from this clinic. Ridiculous. 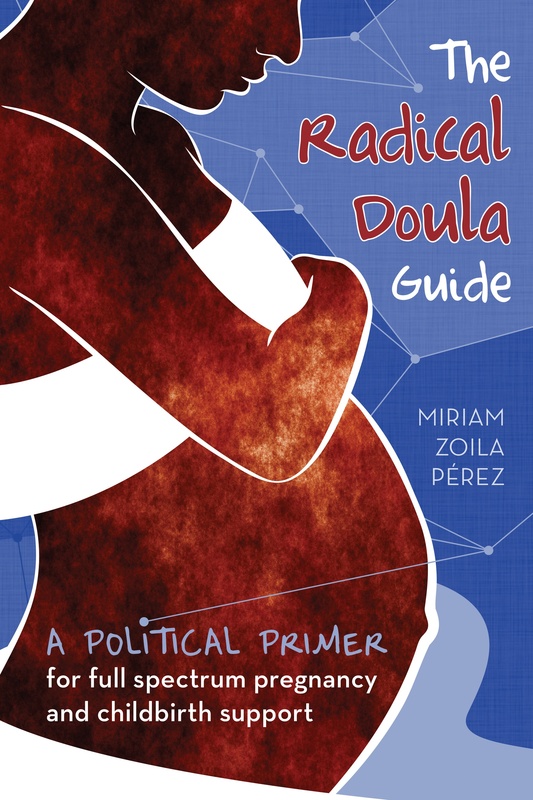 Previous Article Radical Doula’s new look! Next Article Know of a volunteer doula program? 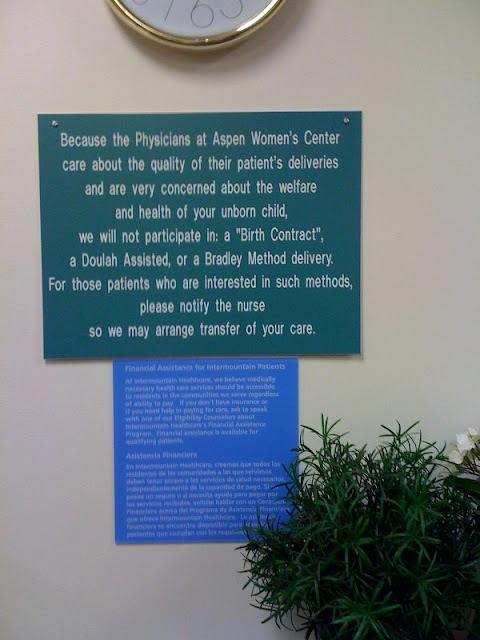 That’s what bothered me most about this hateful little sign–not once is the “welfare and health” of the MOTHER mentioned, just the “welfare and health” of the “unborn child” and the “quality” of the “deliveries.” Who would want to give birth in a place where they’re the lowest priority on their caregiver’s list? I hope women in this area have other options and the opportunity to have safe, healthy, supportive births. This is incredible. The first priority of any OB/GYN should be women’s health and I find the use of the phrase “unborn child” pretty gross. It suggests an opposition to women’s reproductive choice. But I guess that’s obvious since making a statement that your practice does not support women’s birthing choices is effectively the same thing. Wow, that’s a whole lot of judgment packed into one little plaque. Because of the construction of the text, the implication is obviously that people who DO want things like birth contracts and doulas do NOT care about their or their infant’s health during labor and delivery. It really makes me want to know what sort of conversations and events went on behind the scenes that paved the way for posting the sign. For heaven’s sake, don’t you think you’re reading a lot into that sign? Couldn’t it be that the doctors meant what they said – that if an emergency came up, they would do whatever was necessary? I don’t understand how people can get all worked up by a sign. If they don’t like the policy, can’t they go elsewhere for their care? Unless this is a government-funded clinic, aren’t they legally allowed to make the policies that seem best for them? Soooo many women don’t even know that they have those options and to have this be their first experience with it sheds a negative light on things that have been proven over and over useful, safe, effective and just plain wonderful. It is wrong and .. wrong. Folks get “worked up” over a sign because they understand the actual and implied meanings of it. They understand how our society works and how some microcosms are even more backward than the general population. WOW! The Medical Empire strikes back! The sign might well have read ” Once you step through these doors your body and mind belong to us. We will do ALL the thinking for you because we know that pregnant women are incapable of making rational judgements about their lives. Resistance is futile”.